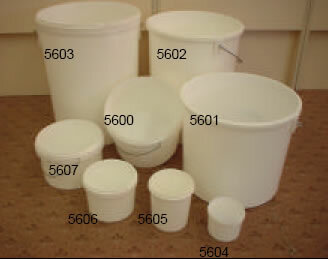 A range of quality containers for liquids or powders. PCONTRANGE A range of plastic buckets and containers supplied complete with 'snap on' lids. 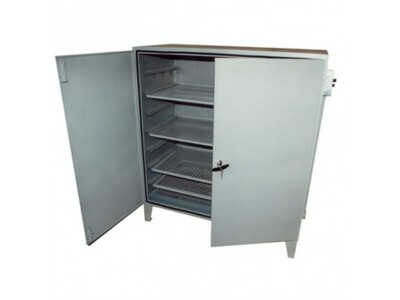 Ideal for the storage of either liquids after mixing or dry powders. A very strong METAL handle is fitted for increased carrying strength. The plastic is very smooth, making them easy for cleaning after use if the need arises. space/storage problems. The truck can take up to Ten ware boards ( sold separately Cat No 5621). The space between the supports is 230mm except for the bottom, which is 250mm. Four swivel castors are fitted to make transportation easy. 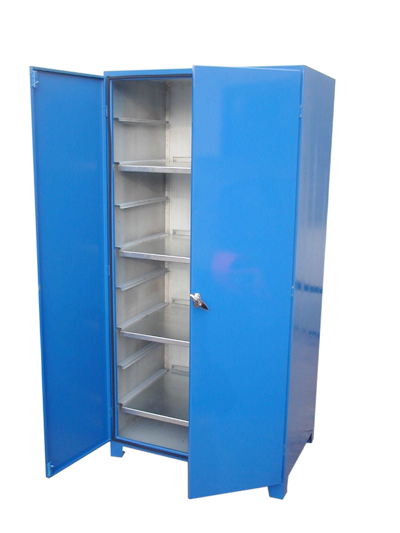 5622 Manufactured from Fibre Glass, this strong cabinet makes an ideal storage area for Plastic Clay. It will hold up to 250 Kilos of Clay. 5623 The ideal way to store semi damp greenware and to retain the dampness. Fitted with an air-tight rubber seal, moisture is retained within the cabinet, so the piece retains its’ workability. Fitted with lockable doors supplied with two keys. 5624 The ideal way to store semi damp greenware and to retain the dampness. Fitted with an air-tight rubber seal, moisture is retained within the cabinet, so the piece retains its’ workability. Fitted with lockable doors supplied with two keys. Model shown is 5625 , so smaller Damp Cabinets will be lower. 5625 The ideal way to store semi damp greenware and to retain the dampness. Fitted with an air-tight rubber seal, moisture is retained within the cabinet, so the piece retains its’ workability. Fitted with lockable doors supplied with two keys. 5626 The ideal way to dry semi damp greenware and to achieve the sure dryness neede for firing/decoration. Fitted with lockable doors supplied with two keys. 5627 The ideal way to dry semi damp greenware and to achieve the sure dryness neede for firing/decoration. Ceramic Heater totally safe and guarded from droppages within the cabinet.